It's crunch time guys! If you still have not completed your holiday shopping and are trying to avoid heading to the overcrowded mall, here are some ideas of thoughtful gifts that you can purchase at your local drugstore. You might even be able to find a few of these products at your neighborhood supermarket. For most women, young or old, beauty and self-care is an investment. Here are 8 holiday gift ideas for the women in your life to help her with that investment . . .
1. 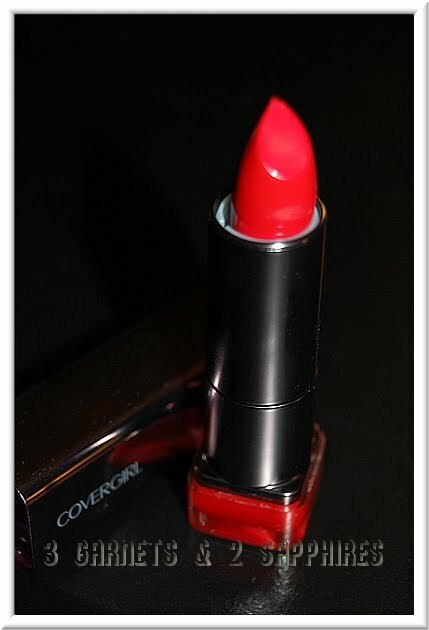 CoverGirl Lip Perfection Lip Color - This is just about the best lipstick I have tried (and I have tried many from mainstream brands to department store brands). Lip Perfection lipstick would make a perfect stocking stuffer. The color actually stays put so well, that I actually had to scrub to get it off at the end of the day. It is currently available in 44 different shades and retails for just $6.50 each. I put several shades on my wishlist for Santa this year. 2. Oral-B ProfessionalCare 1000 Electric Toothbrush - This gift would actually be perfect for a man or a woman. Once you go electric, you will not go back to a manual toothbrush because the difference is very apparent. Without looking in the mirror, you know that your teeth and gums are cleaner just by the way they feel. This powered toothbrush is rechargeable and retails for $74.99. 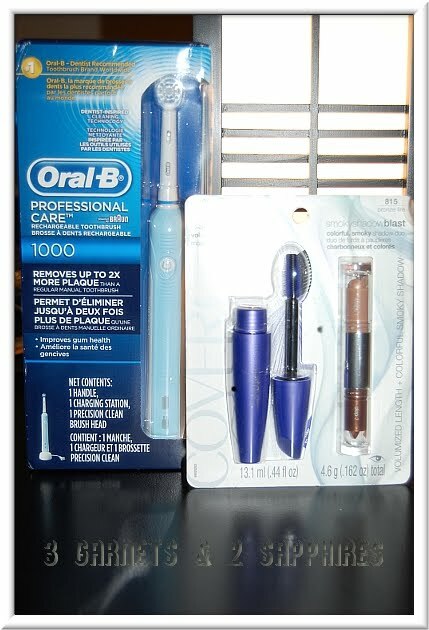 Through December 26th, 2011 you can take advantage of a $20 mail-in-rebate on select Oral-B electric toothbrushes. 3. CoverGirl SmokyShadowBlast Eyeshadow and LashBlast Fusion Mascara Value Pack - This set retails for $9.98 and would be perfect as a stocking stuffer or a small gift for a teenage girl, who would be thrilled to receive some of the products they have seen on America's Next Top Model. 4. Braun Satin Hair Active Ion Brush - This is no ordinary hairbrush. It is actually powered and makes hair shiny, while removing any static and frizziness. The active ions released by the brush protects the hair similarly to how a conditioner would. This brush retails for $75 and is a unique gift that any woman would likely love to receive because she may not splurge to get it for herself. 5. Crest 3D White 2-Hour Express Whitestrips - Having white teeth can be quite costly, so whitening kits would be a much-appreciated gift. 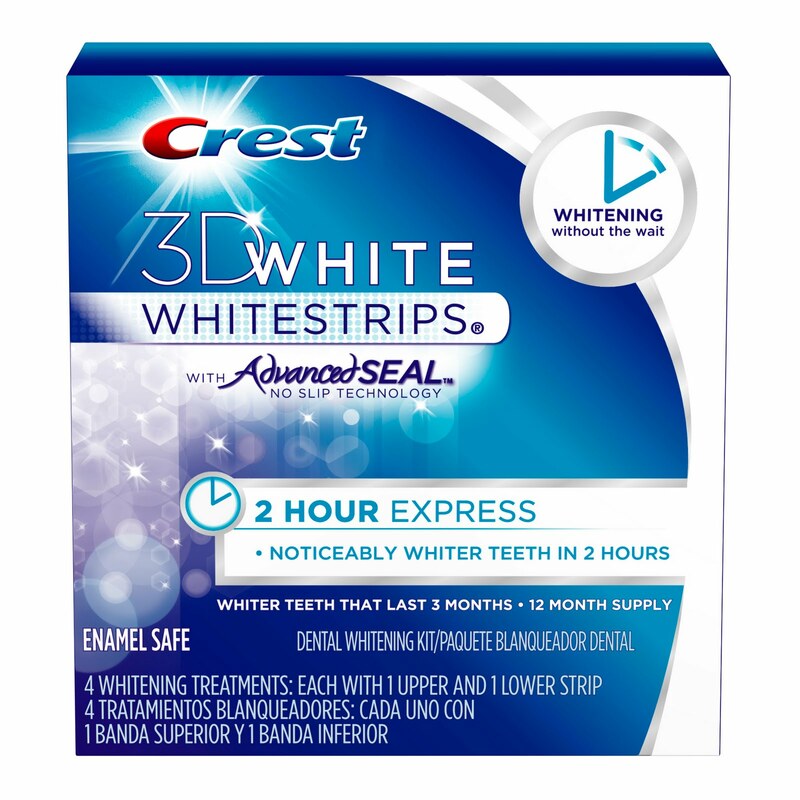 This new Crest Whitestrips product retails for $54.99 and gets the job done in two hours. A box or two would make the perfect gift for a man or a woman who is busy and does not have a lot of time to spend on beauty regimens. 6. 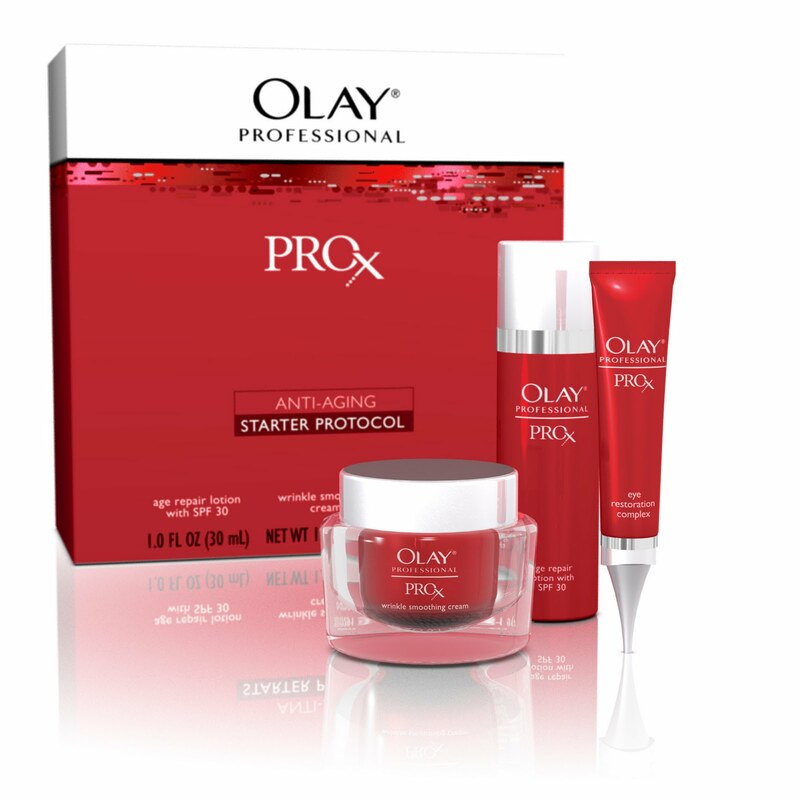 Olay Pro-X Anti-Aging Starter Protocol - My own mother has requested anti-aging beauty products in the past for Christmas, her birthday, and on Mother's Day. Retailing for $62, this is a gift that will remind the woman in your life that she is important and should take care of herself as much as she does her family. 7. Olay Pro-X Advanced Cleansing System - If she already has a smartphone and an iPad (and everything in between), this is a gadget she may not have. It is a facial cleansing brush that would be great paired with any Olay anti-aging moisturizer. This product retails for $29.99 and comes with the Olay Exfoliating Renewal Cleanser. 8. Pampering Gift Sets - There are many gift sets offered at your local drugstore with products from her favorite brands, such as Olay. 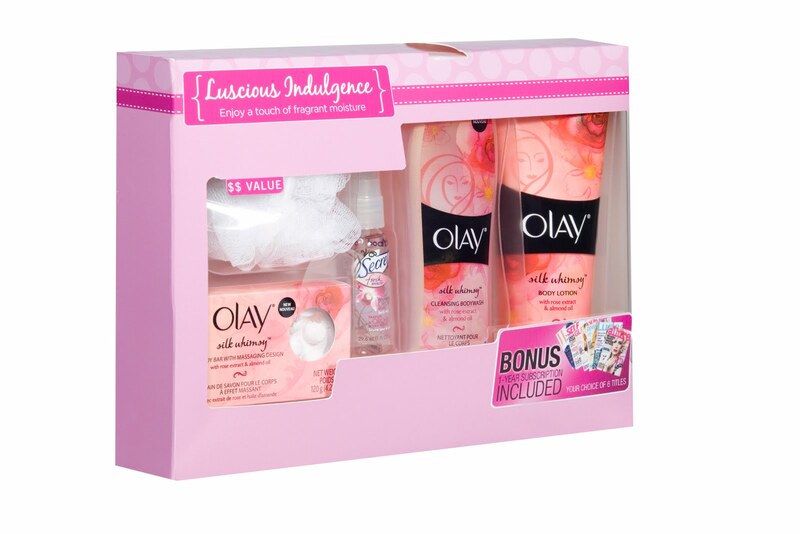 These gift sets start at $9.99 and have everything she needs to pamper herself a bit. Some specially marked boxes even include a one-year subscription to 1 of 6 beauty and fashion magazines. Thank you to Procter & Gamble for providing complimentary product samples of select items featured in this article.